True to their stated objective to become “the largest and most diverse equipment rental and leasing company in the Middle East”, well known Byrne Equipment rental continues to demonstrate a strong commitment and a determined focus on new and innovative products and markets, while continuing to develop existing market verticals across the Kingdom of Saudi Arabia and the wider Middle East region. As business in their core rental markets in general, and in the oil and energy sector in particular, continues to create more demand for complete and cost-effective rental/lease solutions, the company is moving ahead with an aggressive growth plan to ensure that their huge range of products and services, unmatched in the region to date, are further expanded to deliver to the expectations of their ever-expanding client base. 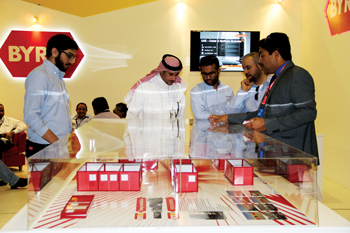 At the recent exhibition at Sabic Jubail, the STM – 11 (Sabic Technical Meet), November 3 to 5, Byrne featured strongly, displaying various new ranges of products that are now available with the company. These attracted strong interest from the many delegates attending, in particular the recently launched mobile/flexible portable building units designed to the highest industry standards and with an array of specifications to suit any application. 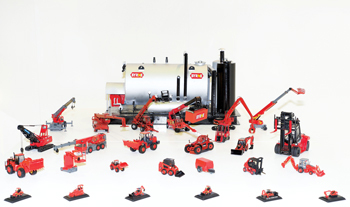 Added to this was a range of leading brand heavy equipment and earthmoving machinery, along with a vast range of logistics solutions and industrial products – these new additions are now all available in their Saudi hire fleets and, as usual, are all backed by that unique 24/7 service commitment that the company is famous for. The hectic pace of development in the industrial hubs of Jubail and Yanbu has allowed Byrne to establish full-scale operations and offices at both these locations in recent years. Here, they’ve been particularly active in developing strong business relations with entities such as both Sabic and non-Sabic industries including growing numbers of manufacturing businesses and associated service-oriented support organisations that are clearly flourishing there. It is in environments like these, where requirements are of an exceptionally exacting nature, and where many projects undertaken involve critical and highly technical applications at plant sites that Byrne have been successful in building their name and penetrating the market through the successful execution of a variety of projects. In the course of 2014, news of the acquisition of the entire Byrne group of companies in the region by the well-known Saudi headquartered Hanco - the kingdom’s leading car and vehicle fleet rental and lease operation, has been very positively received both locally here in Saudi Arabia and across the wider region, where Byrne operate some 13 operational bases, and employ over 450 personnel. 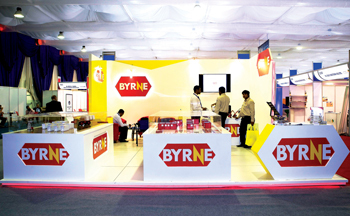 With this development, Byrne now moves on to become a 100 per cent Saudi-owned entity. In addition, it acts as a springboard for the company, as the combined group can now rightly claim to be arguably the largest rental and lease provider with the most diverse range of rental and lease fleet in the Middle East covering everything from vehicles and industrial equipment to portable space units, modular buildings and heavy equipment. 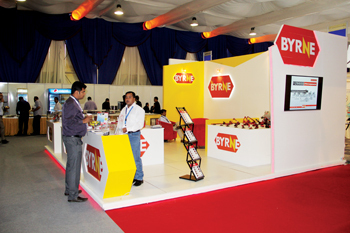 Byrne was established in Saudi Arabia in 2001. Today they operate across the kingdom through five offices, and six operational depots in Jubail, Dammam, Riyadh, Yanbu and Jeddah. Since its formation in the early 1990s Byrnes footprint has grown right across the Middle East with other full-scale rental operations in Dubai, Abu Dhabi and Fujairah in the UAE, Doha in Qatar and Muscat in Oman - a network that is now set to grow further in the months and years ahead.